Forgot you need to bring a dessert to the party tonight? 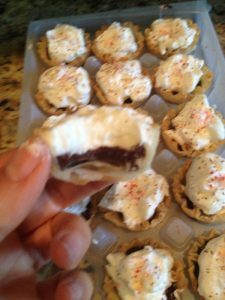 No worries I have an Easy Holiday Dessert Recipe that is sure to be a crowd pleaser and look like you have been in the kitchen all day. This post was facilitated by a sample of extracts from Nielsen Massey Vanillas but all the opinions are expressed are 100% my own. I love this recipe because not only does it take about 20 minutes but you can make them earlier in the day for that evening. I even froze half of them but not sure how they will thaw until the weekend. 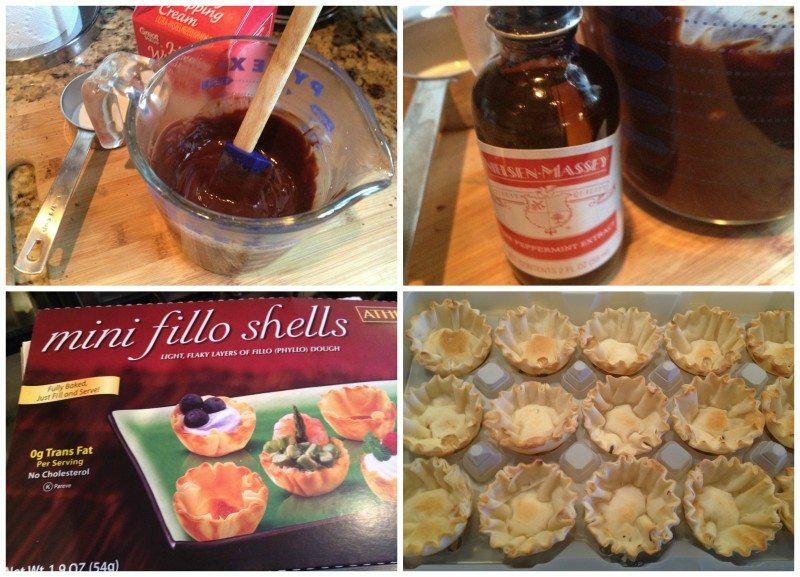 I found the phyllo cups that were already cooked so this recipe did not involve the oven either I also filled and stored the shells in the containers they came in. They lay flat in there and are easy to carry to a party. Just cover them with plastic wrap after the creme had a chance to set. Makes 15 (2 tart) servings. Prepare phyllo shells as directed on package for crisp unfilled tarts. Cool completely. Microwave 1/3 cup of the cream and chocolate in microwavable bowl on HIGH 1 minute, stirring after 30 seconds. Stir until chocolate is completely melted. Cool 5 minutes or until chocolate ganache starts to thicken. Spoon a heaping teaspoon ganache into each tart shell. Cool completely. Beat cream cheese and 2 tablespoons of the sugar in large bowl until smooth. Beat remaining 3/4 cup cream, remaining 2 tablespoons sugar and peppermint extract in medium bowl with electric mixer on high-speed until stiff peaks form. Add 1/2 of the whipped cream to cream cheese mixture; stir until well blended. Gently stir in remaining whipped cream. I initially thought the creme did not taste enough like peppermint, but after it was in the fridge for several hours it developed. 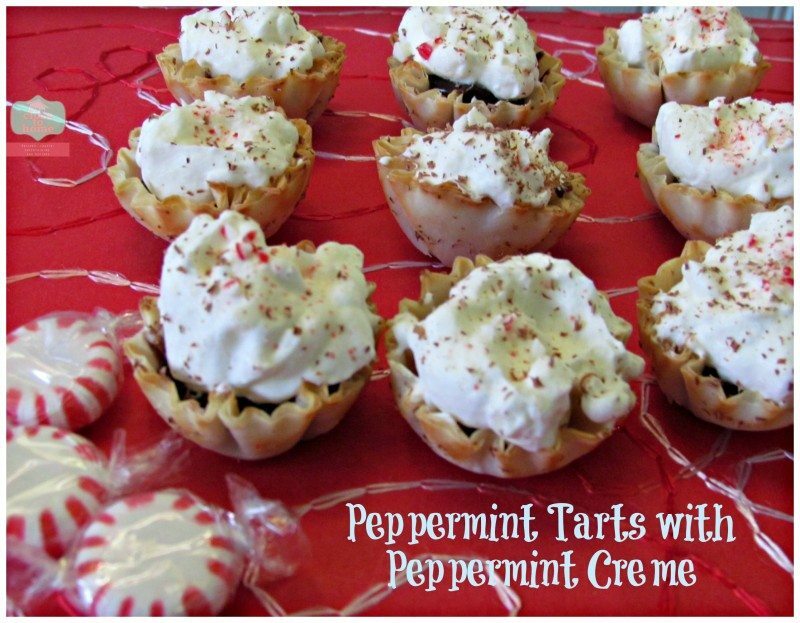 These are cute fun and festive dessert that is easy to transport to a party. 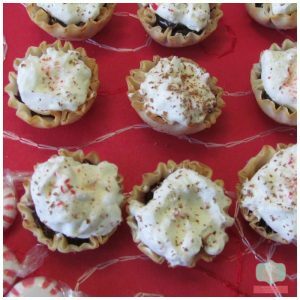 Wants a bite of this easy holiday dessert? 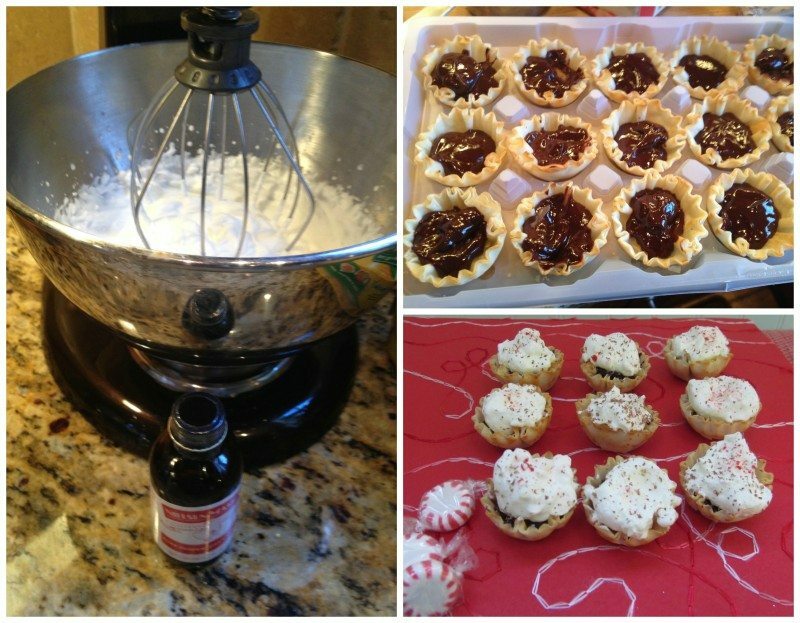 I would love to have a bite of this easy holiday dessert, it looks so delicious. Thank you for sharing this recipe, I can’t wait to try it.